The Photoshop world is quite an extensive one. From photo editing to graphic design. The possibilities to create original works of art are truly limitless. Don't be disappointed by a low-quality print! While megabytes and pixels dimensions are very important, don't be fooled by a quick up-res when resizing images. Looking for some season-appropriate decor? Check out our autumn-themed digital art prints on ArtBoja.com. 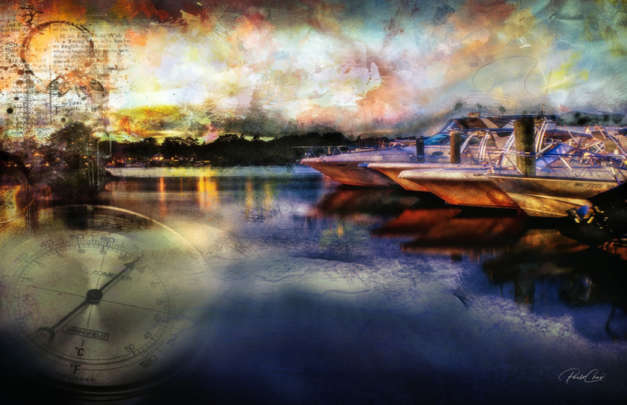 At ArtisanHD, we specialize in printing XL and digital art photography, which means you can get the best bang for your buck with custom panoramic prints. It's not about the size of a pixel, it's more about how you use it (them) and how they transfer over to a high resolution printing process. Check out ArtisanHD's interview with Nigerian Artist, Gabriel Olude. His deep passion and love for photography is evident in his custom fine art photography. Check out the ArtisanHD interview with ArtBoja international custom fine art prints contributor, Charlie O'Brien. This month's featured digital artist! Sharpen your skills with some quick Photoshop tips on how to make half spheres in Photoshop. It's a simple and fun process you can master in just one try! Great News for Art Lovers and Great Printing for Artists! After many weeks of collaborative discussion and late night emails crackling with ideas and concepts, we arrived at what is now ArtBoja.com.